Just what is “lag,” anyway? Lag is a very misunderstood concept in golf. Most amateurs can see that professionals maintain the lag or angle between the lead arm and club shaft as long as possible in the downswing to deliver the most powerful blow possible, but fail to understand how and why this happens. Left to their own means, many golfers have tried to hold onto this angle as long as they can and wind up shanking the ball, topping it and hitting shots to the right (Photo 1). These shots come from not understanding how to achieve lag and still turn the club over through impact. 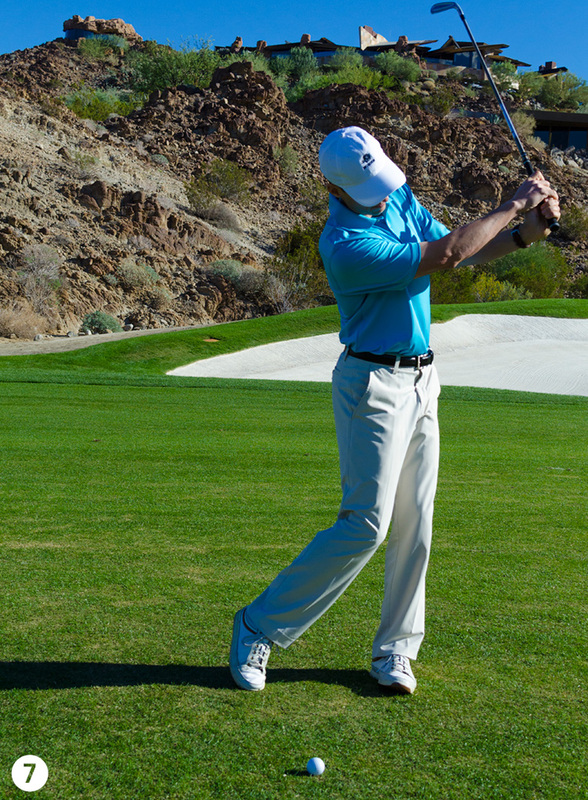 Lag comes from proper sequencing on the downswing — not from trying to artificially hold onto the angle. Proper force generation and sequencing comes from the ground up and winds “out” into the club. Just as a skier or snowboarder does a twist or a basketball player does a spinning dunk, they start their movement from the ground. Powerful golfers also start their downswings this way. They shift their weight from the right leg to the left (for righties) as their pelvis starts to unwind (Photo 2), then their upper torso starts to unwind, followed by their arms and then finally they deliver the club to the ball (Photo 2A). In this sequence, the arms start down third and the club is fourth. 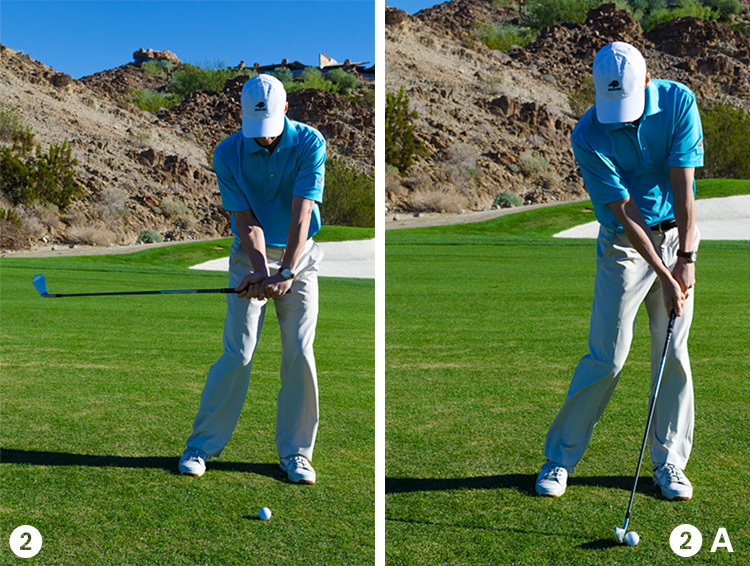 When golfers lose the lag in their swings prematurely, they start the downswing with their arms and/or club first (Photo 3), which leads to a bad strike (Photo 3A). 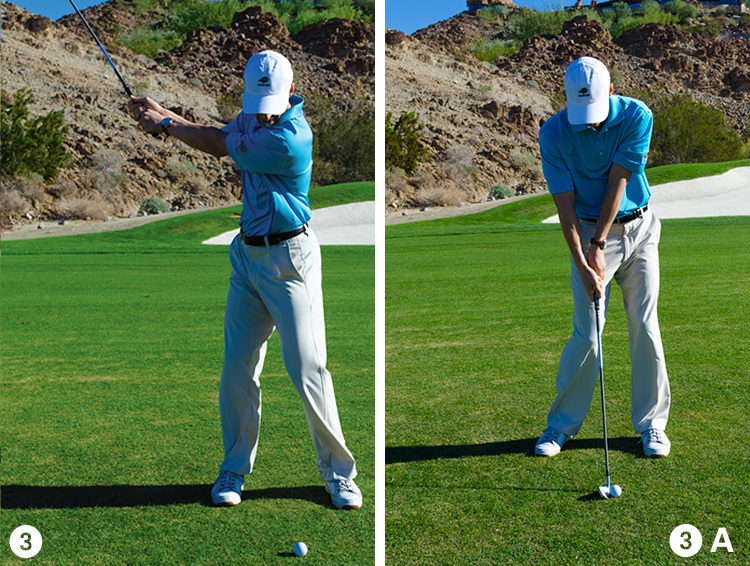 Try the following drill to see if you can get the feel for the proper downswing sequence. 1. Set up to the ground, no ball, with a 6 or 7-iron. 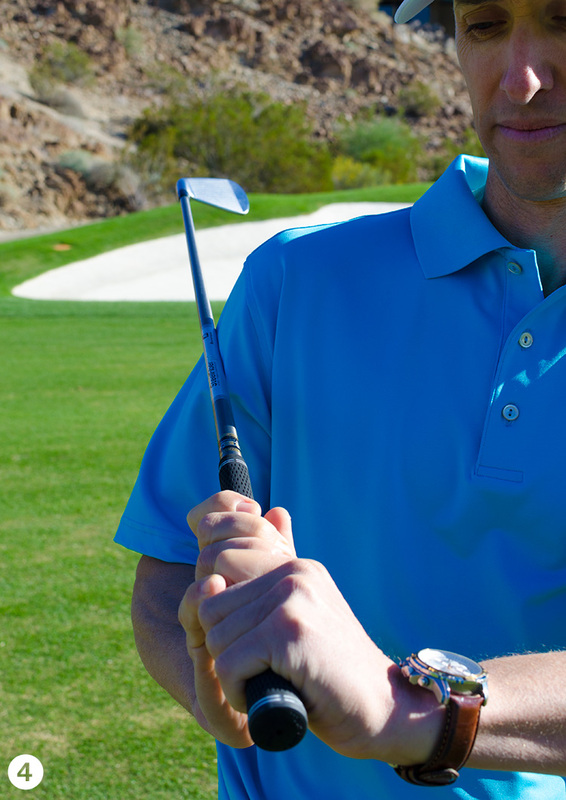 Bend both arms and place the shaft on the outer part of your right upper arm (Photo 4). You may have to let go slightly with your right hand, as I have. 2. 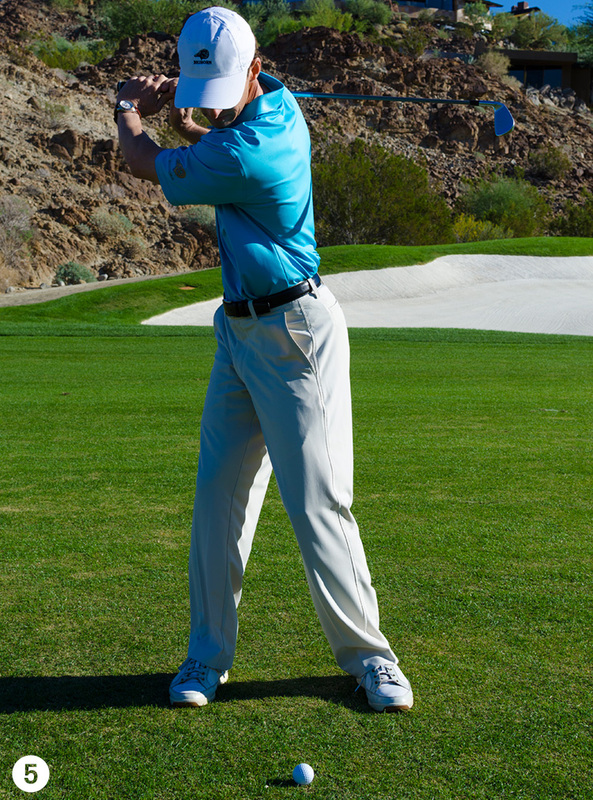 Turn your shoulders 90 degrees as if you had made a backswing but keep the club shaft against your right arm (Photo 5). 3. 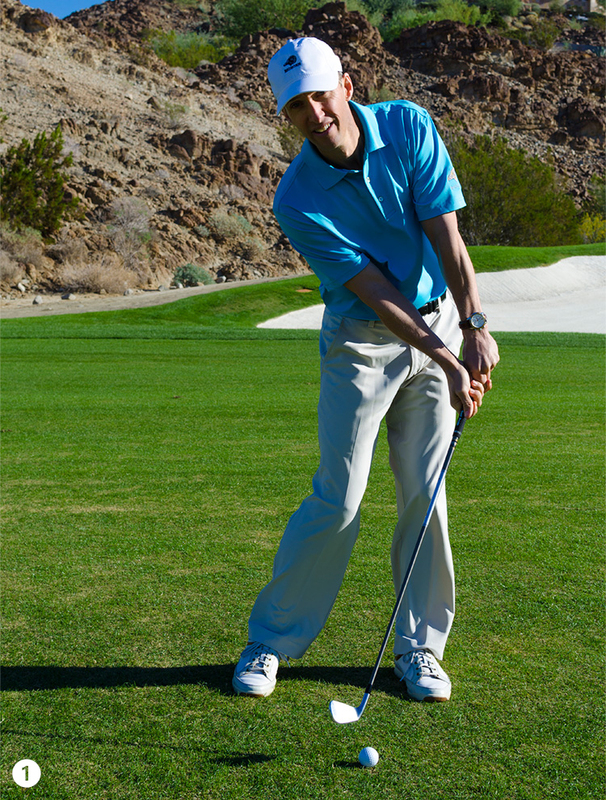 Make your downswing and see how long you can keep the shaft touching your right arm (Photo 6) — at least until your hands get even with your right leg. Feel the delayed release and then whipping of the club head through impact. 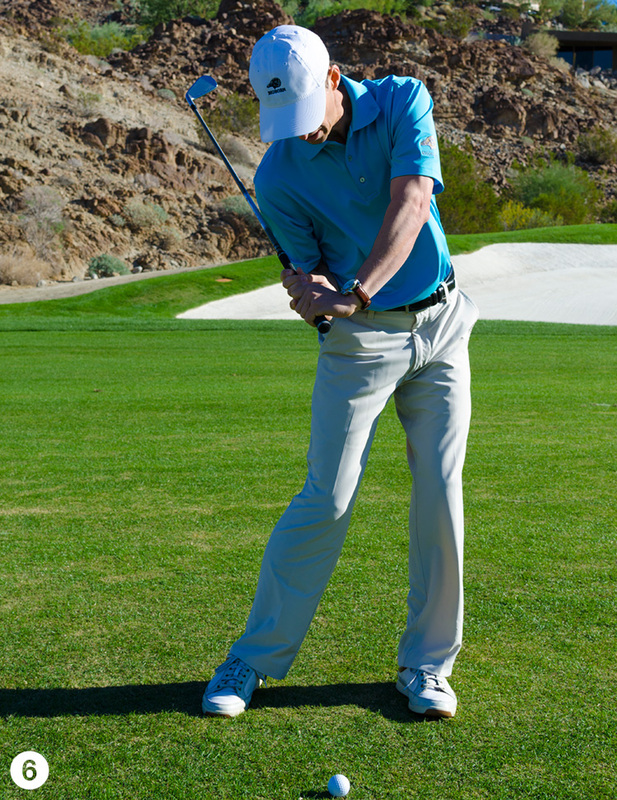 You should feel your forearms and club turn over naturally (Photo 7). Result: Delaying the club release through proper sequencing will help you maximize your distance.